You'll be £25.00 closer to your next £10.00 credit when you purchase Sheriffmuir 1715. What's this? Sheriffmuir 1715 is the military history of a doomed Jacobite rising in Scotland, which enjoyed far more public support and arguably far more chance of success than Bonnie Prince Charlie's attempt 30 years later. Unlike the '45, the uprising which culminated in the brutal battle of Sheriffmuir was very much a Scottish affair, fought without either French troops or assistance, and unashamedly aimed at reversing the hated Union with England and re-asserting Scotland's independence. However, in this lively new study by acclaimed military historian Stuart Reid, a completely fresh look is taken at the campaign, while the battle is reassessed in the light of a thorough knowledge of the ground and the armies which fought there. This enjoyable book provides a comprehensive account of the battle of Sheriffmuir, throwing light on how it was fought. It includes eyewitness accounts, some previously unpublished and all important to the understanding of the fight. Reid has produced a comprehensive study of the strongly supported 1715 Jacobite uprising in Scotland. 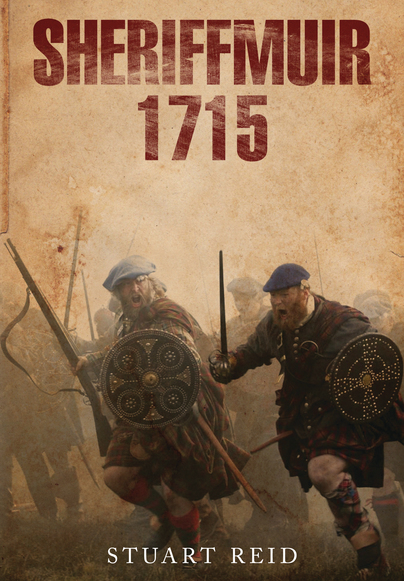 Reid, who is the author of several books on Scotland's military history, takes an in-depth look at the tactics, training and weapons employed by both Jacobite and Government armies as well as including eye-witness accounts.